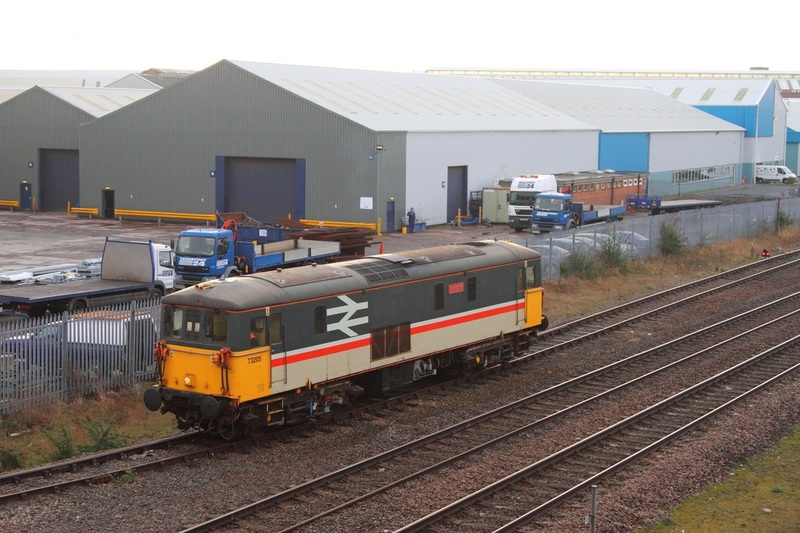 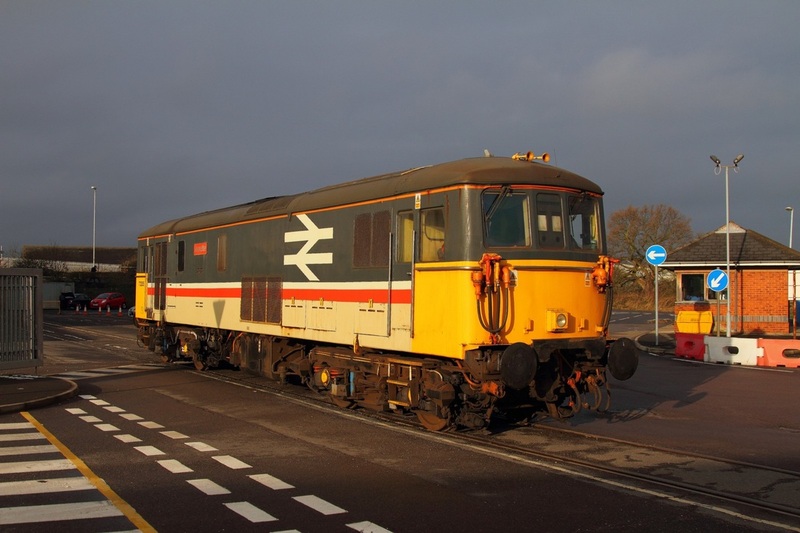 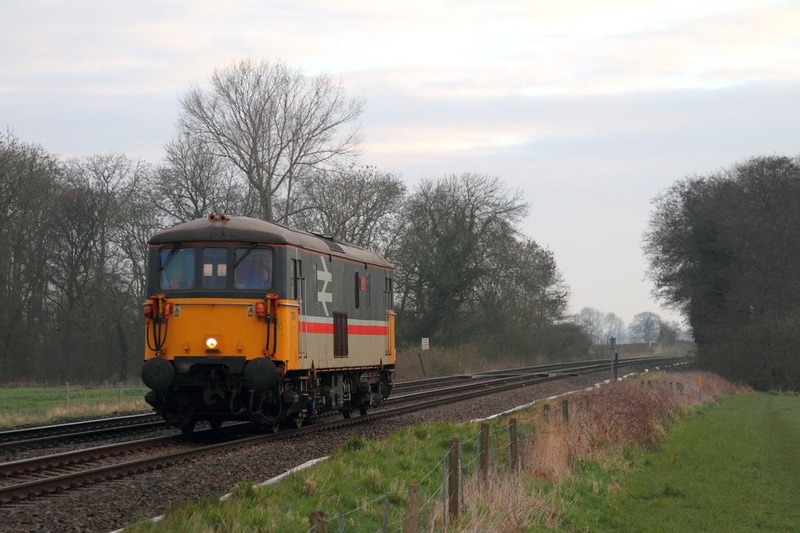 The star visitor of the Great Central Railway's Diesel Gala was D9016 'Gordon Highlander' which accelerates away from Loughborough hauling the 1X08 10:15 Loughborough to Swithland TPO at Woodthorpe on the 29th March 2014. 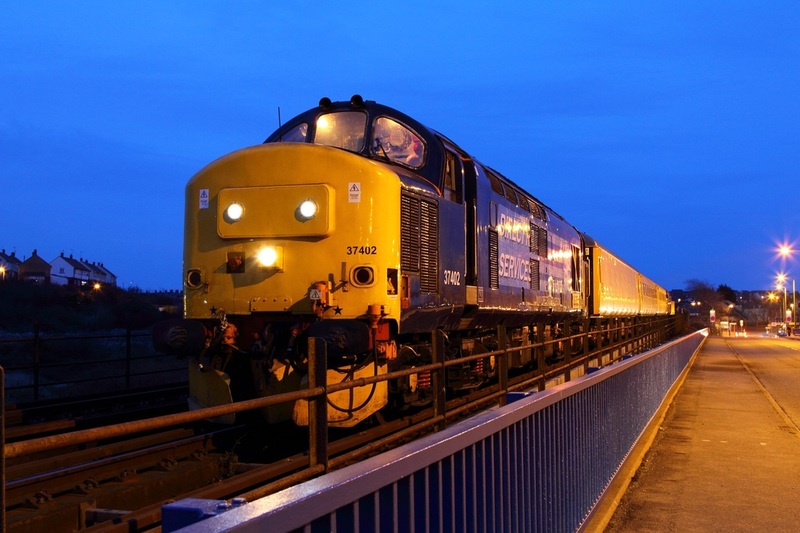 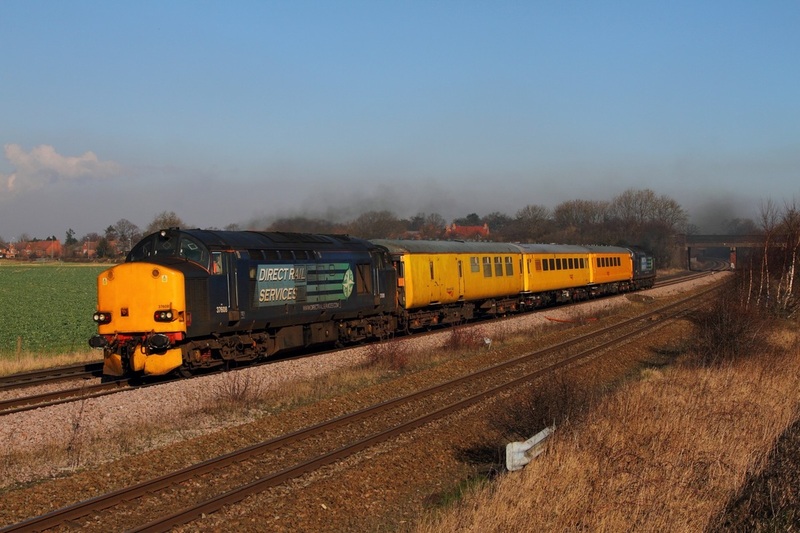 Network Rail 73138 leads Br Blue 73201 on the 3Z02 07:08 Liverpool Lime Street to Derby RTC test train at North Staffs junction near Stenson junction on the 29th March 2014. 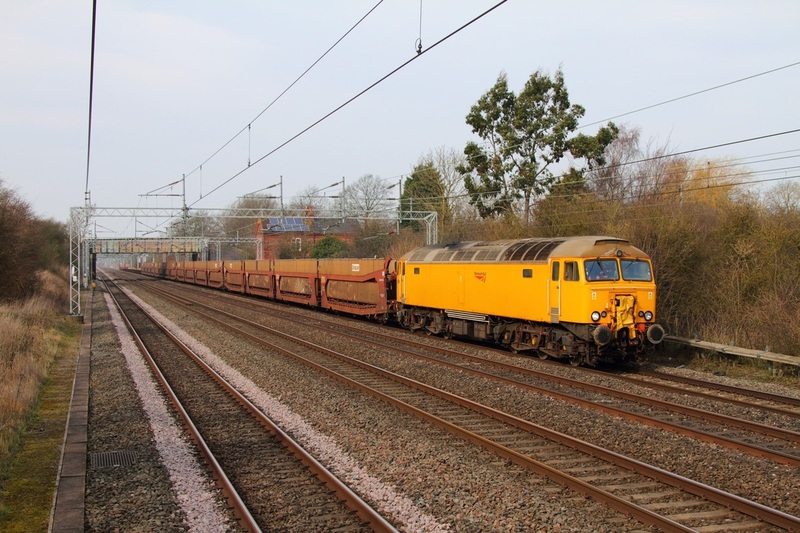 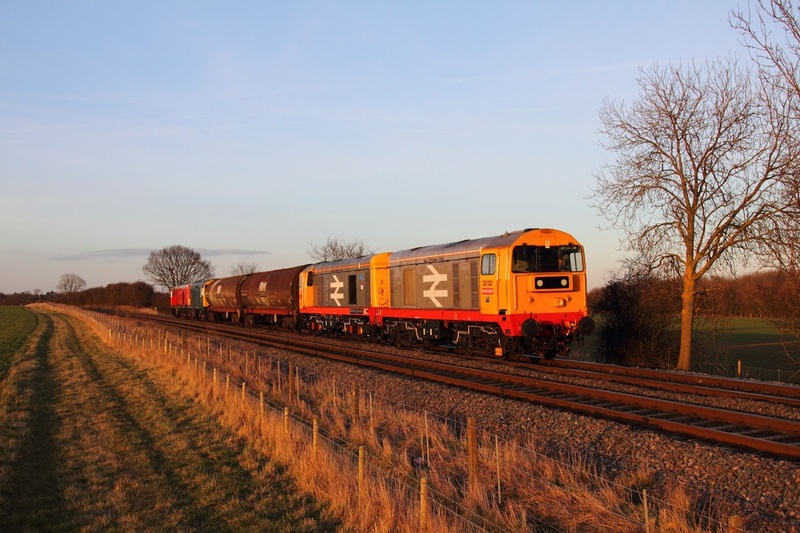 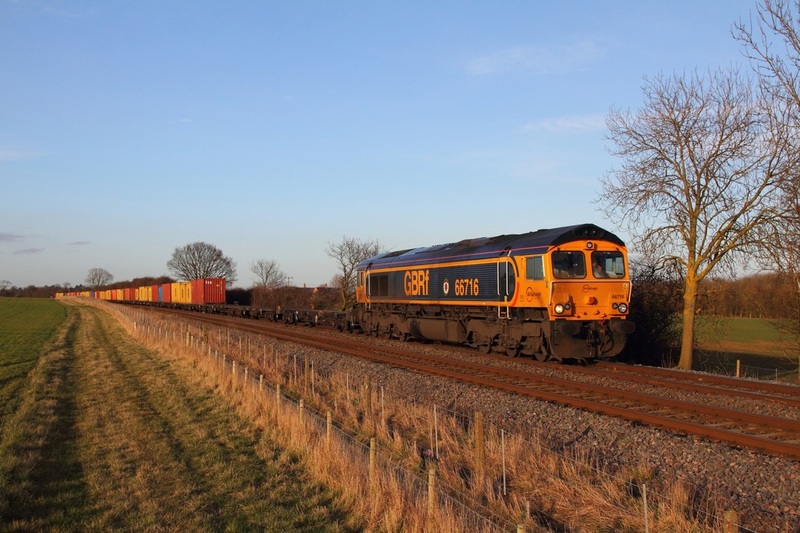 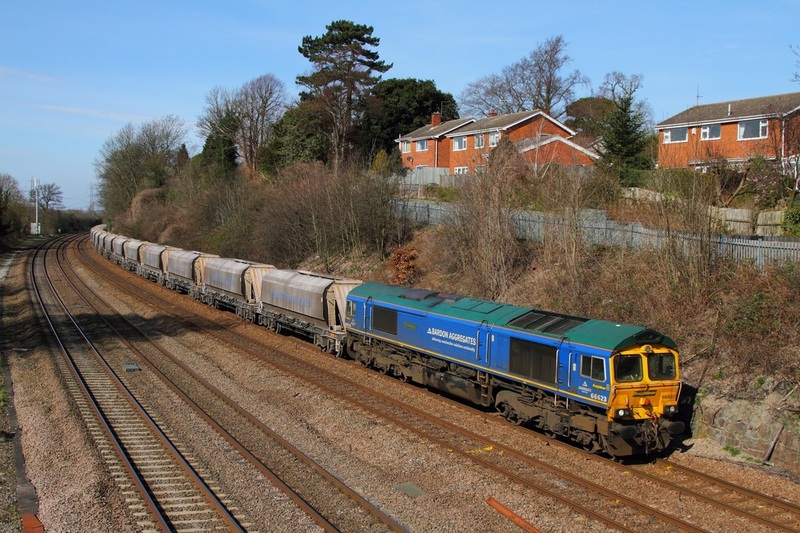 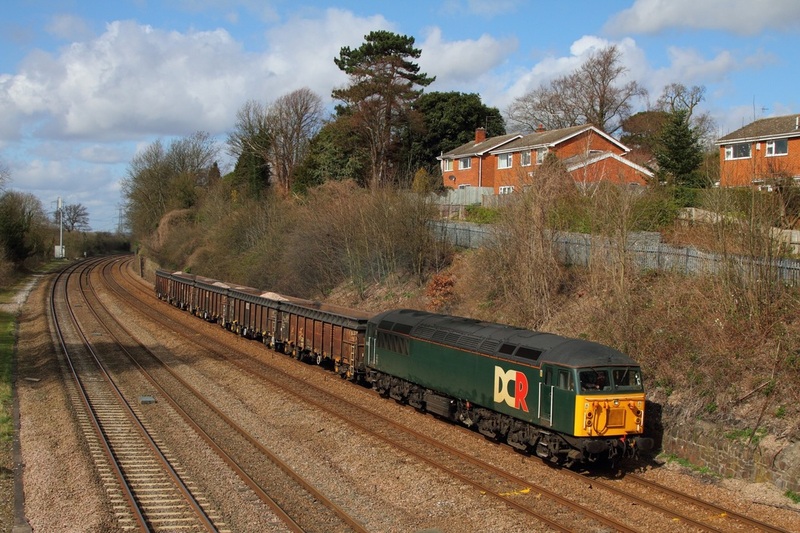 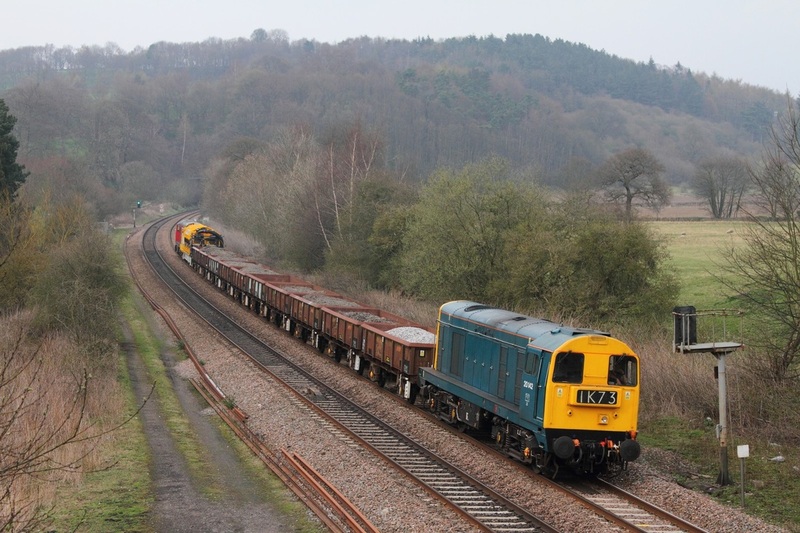 Bardon Aggregates 66623 on the 6M01 Tinsley to Bardon at Barrow upon Soar on the 15th March 2014. 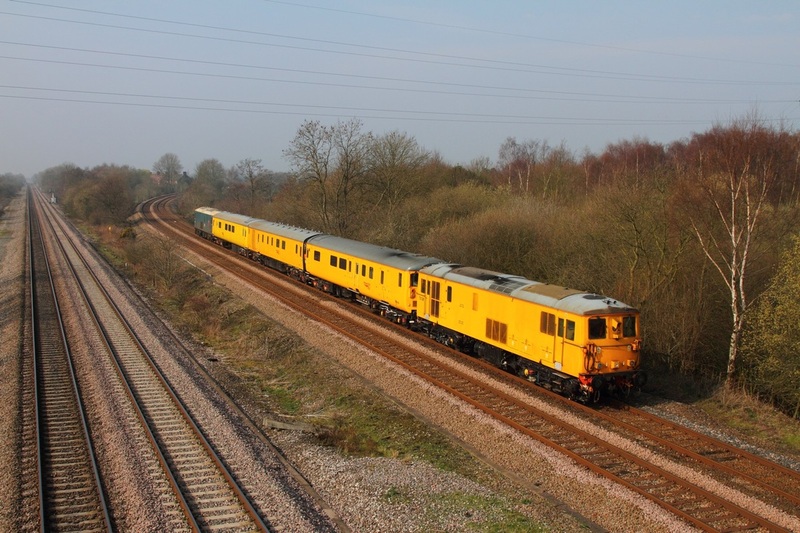 45231 leads 44871 on the 1Z71 Ealing Broadway to Buxton rail charter at East Goscote nearing Syston, Leicester on the 15th March 2014. 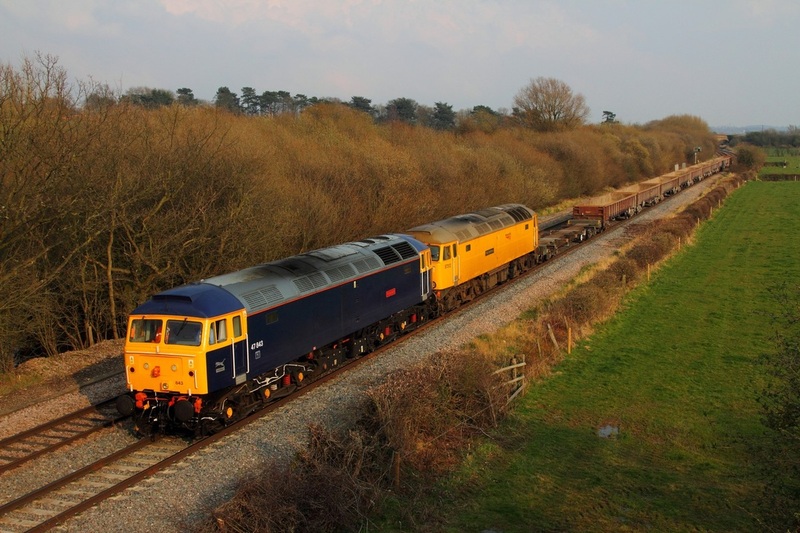 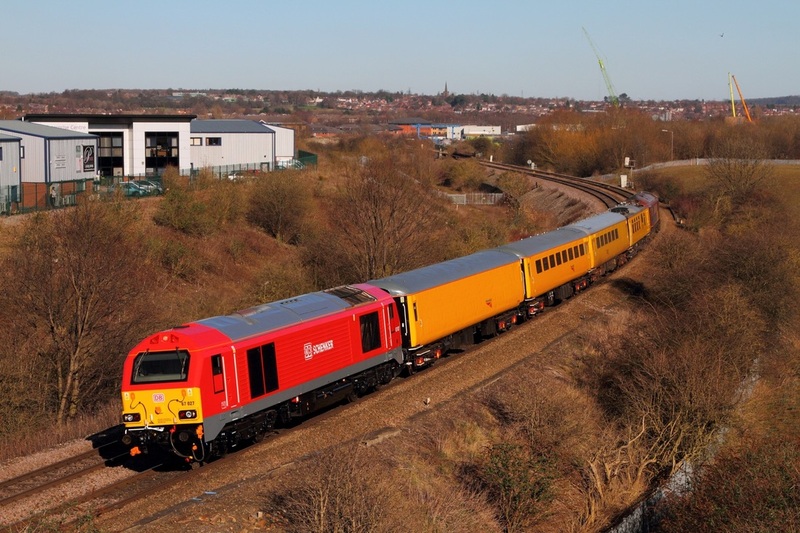 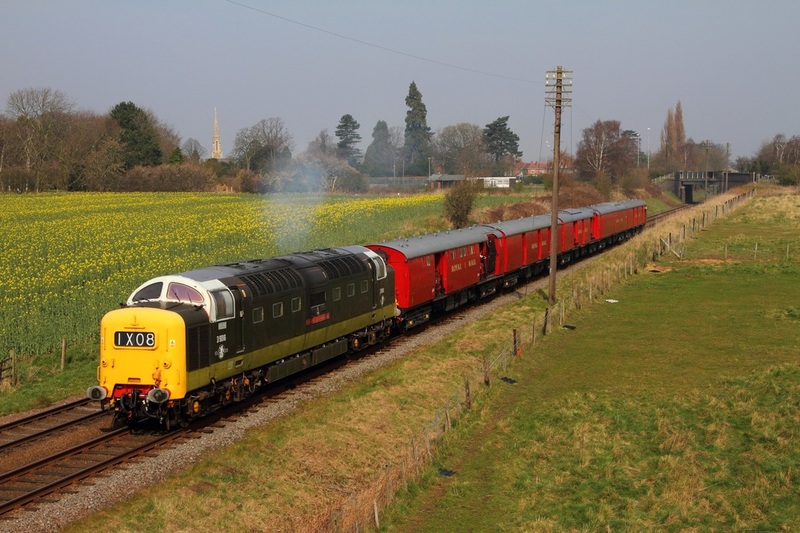 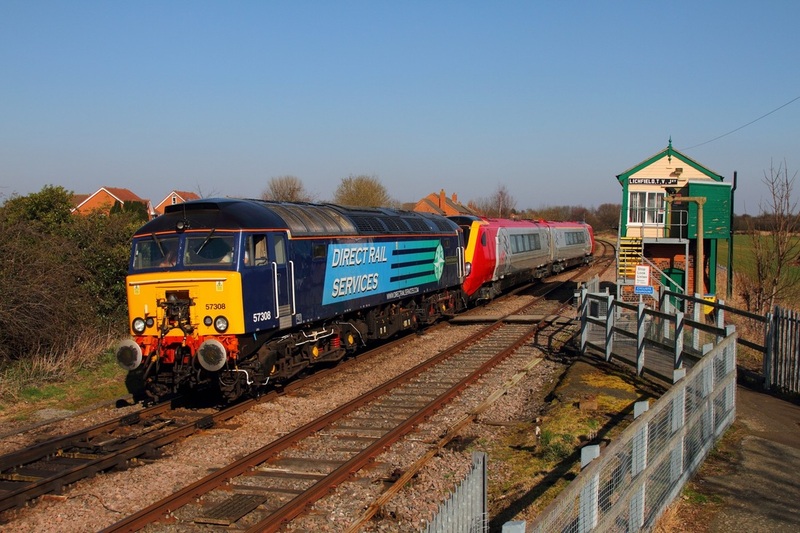 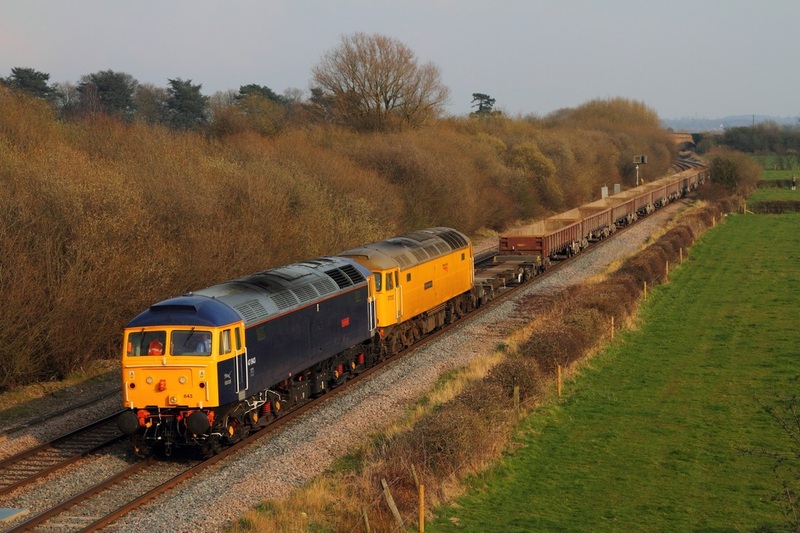 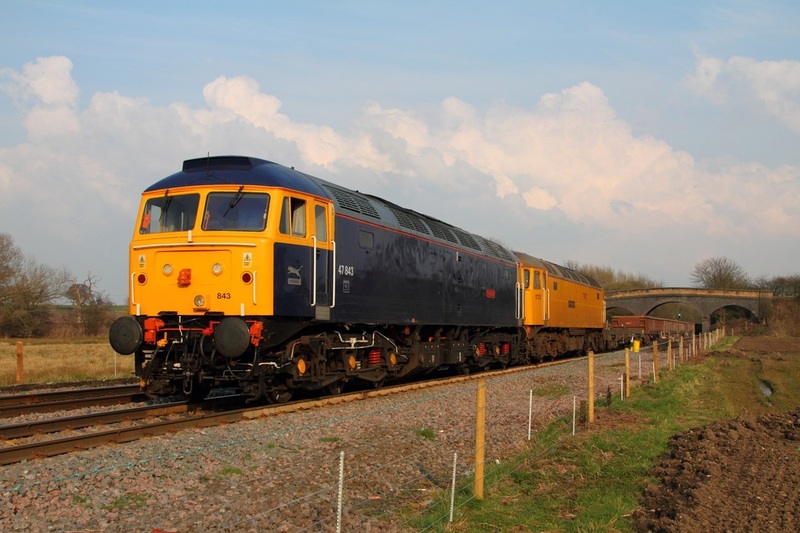 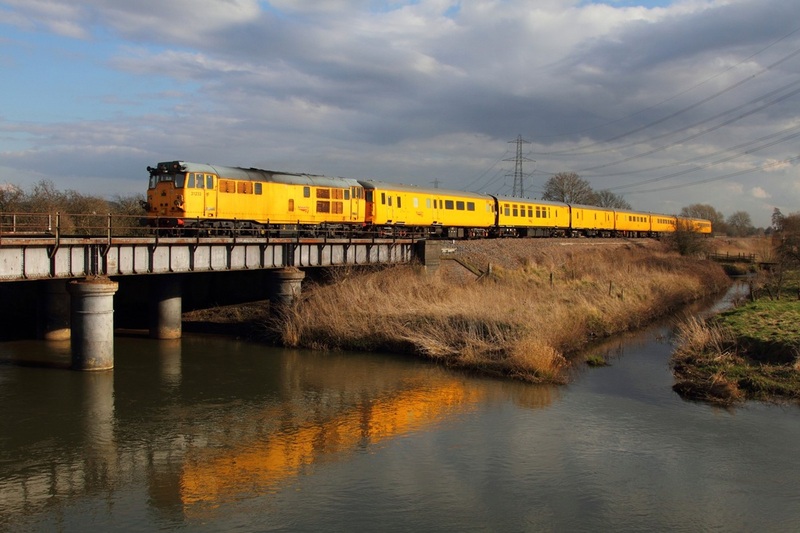 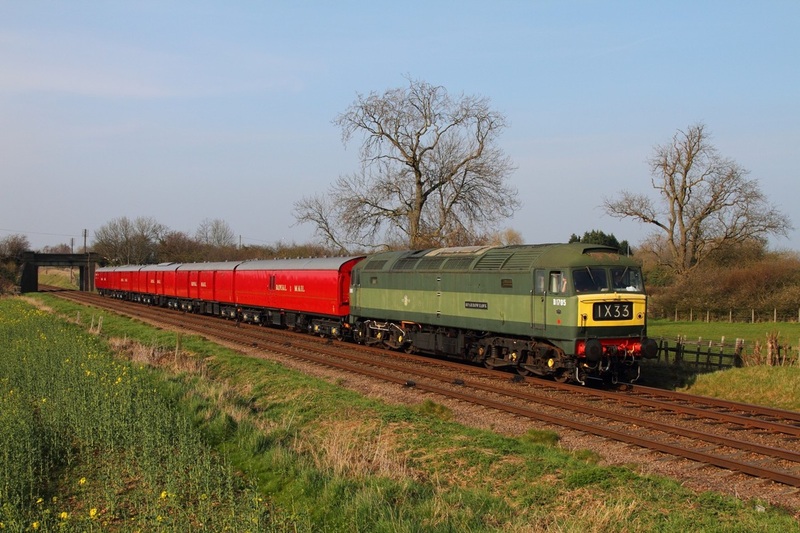 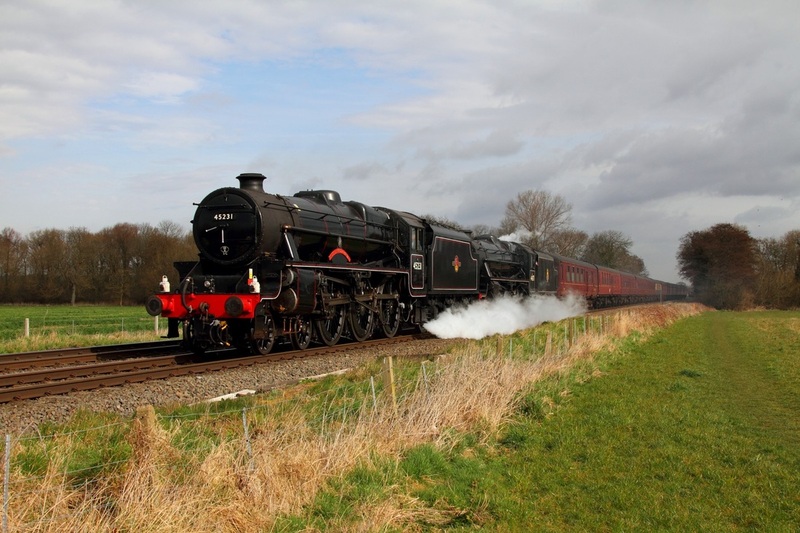 DRS 37608 leads 37603 on the 1Q74 Derby RTC to Hither Green at Thurmaston near Leicester on the 1st March 2014.